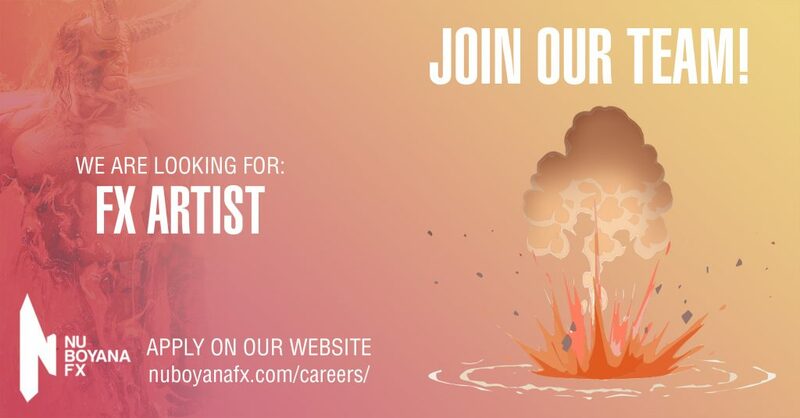 Nu Boyana Portugal is recruiting FX Artists. Are you ready to join a fast-growing team with new exciting projects to come? Our FX Artists are responsible for gathering a variety of 3D assets produced by our Layout and Animation departments and creating rigid body, particle and fluid simulations. If you have a passion for FX and can use Houdini and Maya, then we would definitely want to hear from you! Whether you’ve just graduated, are looking for new challenges or are used to leading teams of FX TDs – you are welcome to apply!